Meet Charles Tucker, he has spent nearly 30 years living in denial, trying desperately to hide from his past and the events that shattered his heart beyond any possibility of healing. He can’t let anyone close, for doing so would open him up to being hurt again, and there’s no way he could survive another wounding. Meet the Saunders family, new to the neighborhood and teetering on the verge of bankruptcy. Mark, the father, talks a good story but is that all he is? His plan could hold the key to reversing his family’s financial misfortunes, or it could wipe out everyone involved. Meet Chet, a battered old ‘64 Chevy pickup that was there on the night Charles’ life imploded. For nearly three decades, he has been locked away in an old barn, safely out of sight if not completely out of mind. 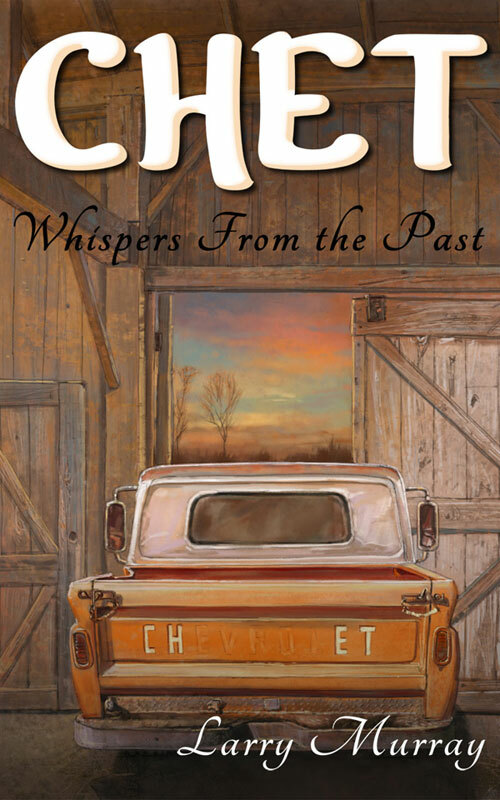 For 29 years Charles has blamed the old pickup for the destruction of his life, now he’s about to find that the vehicle that destroyed his life might be the key to his healing and a journey of unexpected miracles. Publisher’s Note: Chet: Whispers From the Past is the first volume in the Chet series. It is followed by Strength Beyond Our Own.